During Every playoff game $50 will be added to the site ‘cup’ each time a Canadian team wins, $100 will be added, the pot will accumulate until the last playoff game. Plus, each time a Canadian team wins a game, NHL merchandise giveaway packages will be drawn. 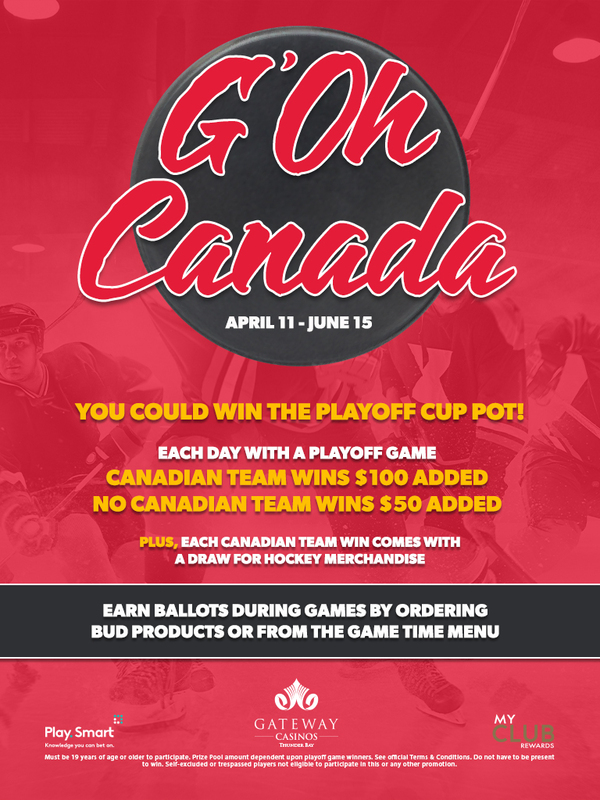 Earn ballots during games by purchasing a Bud products or from the Game Time menu.